If you’re considering traveling around New Zealand in a campervan, I want to first take a moment to say this: Don’t debate it any longer. You will have the adventure of a lifetime. Traveling in a campervan is without a doubt the best way to see New Zealand. That’s a fact. Okay, well I suppose it’s our opinion... But trust us, you will not regret it. I know you might be feeling a bit anxious or overwhelmed as you start plan and research campervan trips. Especially with all the things to do in New Zealand, it’s hard to know where to start looking. We’ve been there. We know you have a lot of questions (we did too). But don’t worry; we are going to answer each and every one of them and make sure you are super prepared for an epic campervan trip in New Zealand. This comprehensive guide has literally everything you need to know about planning a campervan trip to New Zealand; from how much it costs, to how to find the best campervan companies, to how to shower while living in a campervan, to the magic trick you need to know to find campsites. If you’ve been following our blog for a while, you may remember that we actually built our own campervan a couple years ago and lived in it for 3 months while exploring the west coast of the United States. It was one of the best summers of our lives, and we owe a lot of that to “Vinny” (that’s what we named our campervan!). Prior to that summer, neither of us had ever spent a night in a campervan, let alone 3 months. But we quickly fell in love with #vanlife and the simplicity and freedom that comes with it. So after 3 months in our beloved “Vinny”, we made a list of places around the world we thought would make great campervan adventures because we knew we just had to do it again. Do you want to take a guess at which country topped our list? With epic landscapes, good roads and unspoiled wilderness, New Zealand is the perfect place for a campervan adventure. Adventure: You’ll be able to wake up next to some of the most epic landscapes and have an adventure of a lifetime: One you can’t get by staying exclusively in hotels. Save Money: While renting a campervan in New Zealand isn’t necessarily cheap, it will give you the opportunity to save money in other ways: like cooking your own meals and finding free campsites. Simplify: Campervan travel is more simple than staying in hotels and requires less planning. Unless you are staying in or around a major city during busy season, you won’t need to reserve your campsite in advance, so you can simply see how far you get each day and find a place to sleep. You can make meals when you get hungry instead of trying to find restaurants. And you don’t need to lug your suitcase into a hotel each night and repack in the morning. See More: There are some off-the-beaten-path places you can’t easily get to without spending the night. And you’ll have the opportunity to camp near trailheads to get a start early in the morning before the “hotel crowds” arrive. It’s Easy: New Zealand is very well set up for campervans. There are campgrounds and freedom camping sites throughout the entire country, making it simple to find a place to sleep, shower, and fill up your water tank. There are few places in the world where campervan travel is as easy as in New Zealand. Try Something New: Get out of your comfort zone, learn new things and discover a way of travel you might actually fall in love with. 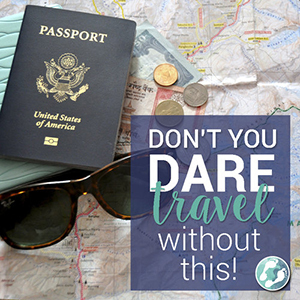 Now that we have you on board, let’s start planning a trip you will be talking about for years to come! New Zealand enjoys 4 distinct seasons, and each has its own draws and beauty. You’ll find the seasons and temperatures much more mild in the North Island, whereas the South Island’s weather is more drastic and temperatures can get cold any time of year, especially in higher elevations. Remember: New Zealand is in the Southern Hemisphere, the seasons are the opposite of what all us folks from the north are used to! January and February are typically the hottest months and July is when you’ll get the coldest temperatures. Weather can vary from very nice (and hot!) to cold and rainy. Spring is when you’ll find the stunning lupin flowers around much of the South Island. Prices and crowds are average at this time of year. While weather in New Zealand is always unpredictable, this time of year offers the best chance of good forecasts. That said, high season means crowds and higher prices. Weather is typically nice, and summer temperature are starting to drop. Like springtime, prices and crowds are average at this time of year. Weather, especially in the South Island, can be quite cold. That said, you’ll find few crowds and low prices. Additionally, the South Island has many spots that are renowned for skiing, so if you’re into winter sports, this might be the perfect time of year for you. The “best” time to visit depends quite a bit on your personal preference. Read the statements below and pay attention to which one sounds most like you. Summer will be your best bet. Great summer weather means you will be sharing the roads and popular sites with lots of other travelers, as this is peak tourist season. It is also during this time that prices for campervans are at their highest. It is worth noting that summer is a popular time for Kiwis to travel, as kids are on school holiday. So you will likely run into lots of New Zealanders traveling within their own country. Be sure to ask them for their best tips! “Shoulder Season” is a good option for you. This means you could travel before summer (spring!) or after summer (fall!). Both are great options. It comes down to which months are more convenient for you to travel and whether you’d rather see the beautiful flowers in spring, or trees changing colors in the fall. When possible, traveling during shoulder season is our top choice no matter where we are in the world. Not only will we likely still have good weather, but we’ll miss the biggest crowds and super inflated prices. Winter could be a great time for you to visit New Zealand. You’ll have a good chance of finding a great deal on a campervan, but beware that temperatures (especially on the South Island) can be quite frigid, so be prepared and pack lots (and lots!) of layers. Also, there will be some roads, trails and sites that are closed at this time of year. It could be just the perfect adventure though. Plus, New Zealand has some pretty epic places to ski, so if you’re into winter activities you might be in heaven! How much time do you need for a campervan trip? 1 month allows you to be able to see a lot of the “big sites” on both the North and South Islands, as well as some places off the typical tourist path. 6 weeks would allow you to explore some of the more remote areas of the country with a little time for relaxation. If you have more than 6 weeks, you’ll still have no problem filling your days with things to do. Our experience: We had 5 weeks in total, and had a fantastic time. But 6 weeks would have been even better! What is the best campervan route for New Zealand? Lucky for you, we’ve created a perfect campervan itinerary for New Zealand. We spent an embarrassing amount of time doing research, comparing dozens of itineraries, and asking locals for advice to come up with a kickass route that we used for our own campervan trip! Since our trip, we’ve thought about all the things we would have done differently… And we altered our own route to create the absolute best route out there. You can pour hours and hours into doing the research yourself, or you can take our word for it and spend your newfound free time doing something more fun than staring at a computer screen. It’s up to you. Only Have time for One Island? If you only have time to explore one island, we would absolutely, without question say you should travel around the South Island. The North Island is wonderful in its own right, but it is nowhere near as epic or perfectly suited to campervan life as the South. Should I start in the North Island or South Island? There really is no right or wrong answer to this question. We started on the South Island because that’s where my brother was living while doing his Working Holiday Visa, and we wanted to be with him over Thanksgiving. Find the cheapest flight. You might want to see which city — Auckland or Christchurch — is most affordable to fly into and go from there. Think about the weather. The North Island tends to have milder weather, so if you’re arriving at the tail end of winter, it will be more moderate than the temperatures in the South Island. And by the time you get down south, the temps should be a bit more comfortable. And the opposite would be true if you are arriving in the fall: Explore the South Island before winter sets in. If you still can’t decide, here’s a thought… The South Island is unarguably more epic. We arrived on the South Island and every single sight made our jaws drop. But as we headed north, the scenery was still beautiful, just less… impressive. Gone were the snowcapped peaks and fjords and drives with hours between towns. Sure, there were beaches and mountains, but there was more traffic and more developed cities, like you’d find elsewhere in the world. We’ve said that if we arrived in the North Island, we would have been impressed right away, and we would’ve continued to fall deeper in love as we drove south and the scenery got even better. So if you really can’t choose, starting in the North Island and heading south would be the more “epic” way to explore New Zealand. Should I buy a campervan or rent? What season will you be leaving New Zealand and trying to sell your vehicle? If you will be leaving at the end of the summer or in the fall, you will likely have a very difficult time selling your campervan and you may be forced to take a hefty price cut. However, if you plan to leave and sell your vehicle in spring or early to mid-summer, it shouldn’t be too difficult to find a buyer (as long as the vehicle is in good condition). As soon as you start to research campervan trips in New Zealand, you’ll see there is no shortage of rental companies to choose from. We’ve written an entire article that goes over some of the best campervan rental companies in New Zealand, including which one we chose (and why). If you are traveling New Zealand in a campervan, you’ll need to know a thing or two about campgrounds: Like where to find them and what type of campground is best for you. Both apps show all types of campgrounds – from the free camping to holiday parks. They also show reviews so you know what to expect. You can use filters to find the price range or type of campground you are looking for. There are a handful of different types of campsites you’ll find in this country, and it can be confusing at first. What’s the difference between a Holiday Park and a regular campground? How does Freedom Camping work? And what the heck is a DOC site? Note: In this article, we are only focusing on campsites that are accessible by campervans (not backcountry sites or Great Walks campgrounds). While you can typically expect Holiday Parks to have the amenities above, they do vary in quality. Our best advice is to check the reviews on Rankers or CamperMate to see what recent guests have to say. How much do Holiday Parks Cost? These are the most expensive type of campground and they run anywhere from $15 to $26 NZD per person per night. This is essentially when a landowner makes it possible for people to camp on their property. Privately owned campgrounds vary quite a bit in quality and price. They will have less amenities than the Holiday Parks, but they are also less expensive. We stayed at one private campground that was in a lovely location on the beach and cost $5 per person, but they only had drop toilets (aka outhouses). Some have a sheltered kitchen area, flush toilets and other amenities. How much do private campgrounds cost? They can range from $5 to $15 NZD. If they cost much more than that, they probably have all the same amenities you’d find at a Holiday Park. The Department of Conservation (DOC) has a large network of campgrounds (more than 200!) around the country. There are different types of DOC sites, including very basic free sites which we will discuss in #4. The Standard or Scenic DOC campgrounds are typically simple but tend to be in nice locations (many are in or around National Parks). They should have toilet facilities and water supplies. Sometimes there are rubbish bins, but it varies. How much do DOC campsites cost? DOC campsites range in price depending on the type of site, however the most common price we found was $13 NZD per adult and $6.50 NZD for children 5 - 17 years old. At most DOC sites, you can not make a reservation in advance, and you will need to pay in cash. You will fill out your information on an envelope in which you will deposit your exact payment. Park Rangers do come around to check this, so be sure to do this as soon as you arrive. There is a weekly pass you can purchase for $25 NZD per person that allows you to stay at select DOC campsites for free. It is valid for 7 consecutive days. If you stay at 2 participating DOC sites in the week, the pass will pay for itself. And if you stay at more DOC sites, you’ll save some money! But read this carefully: Not all DOC sites are covered in this pass. We were under the impression that this pass covered all DOC sites, but were approached by a (very friendly) ranger who told us this was not the case. He gave us a list of all the sites covered in the pass, and as it turns out, some regions don’t have many options. So before going ahead and buying the pass, look at your route and make sure there are enough approved DOC sites that the pass makes sense. There are plenty of free campgrounds around New Zealand too (most are run by the DOC). And these sites are not just for self-contained vehicles. Also, Free Campsites can get quite crowded depending on the location. We stayed at a few that seemed to be the local party spot, while others were pretty empty. You can find free campsites by searching Rankers or CamperMate and using the filter to find only those that are free. You can use the app to check reviews and ensure there are toilet facilities. Your final option for campsites is freedom camping. But there are some important things you need to know before you set up camp. What exactly is Freedom Camping, you ask? It essentially means you are spending the night on a piece of public land that has not been set up as a campground (there are NO toilet facilities). IMPORTANT: Freedom camping is only allowed in designated areas and is only for vehicles that are certified self-contained (a.k.a. has a toilet and a grey water tank). It is illegal to spend the night in areas that are not designated for Freedom Camping, and you can be fined. Same goes for vehicles that are not certified self-contained. Related: Read more about Self-Contained Vehicles to decide if it is necessary for you. When you are freedom camping, you will not find any toilet facilities, and it’s important that you do your business inside your vehicle. Also, please collect your waste and don’t leave any rubbish behind. Because, duh. Freedom camping is becoming more and more restricted throughout New Zealand, as many people are not respecting the rules. Don’t be that person. Additional Reading: If you plan to do some freedom camping in New Zealand, please familiarize yourself with the Leave No Trace principles. One thing to know is campgrounds in New Zealand are quite different than in North America. You won’t have your own secluded site with a picnic table and fire ring, as is customary in much of the US and Canada. Most of the camping in New Zealand is more or less a field where campervans have space to park. Some are more secluded than others, but it’s good to go in with realistic expectations. Depending on the specific campground and the time of year, you might be quite close to other vehicles (which can be annoying or an opportunity to make a new friend!). If this is your first time in a campervan, this will be new for you! The good thing is using a dump station is quite easy and intuitive. And if you rent a vehicle through a reputable company, they should walk you through how to use a dump station. If your campervan is self-contained, this means that not only does it have a toilet, but a “grey water” tank as well. After brushing your teeth or scrubbing grime off potatoes, the water you used doesn’t just magically disappear like it does at home… Nope, that water sits in a grey water tank, and it must be emptied. Or you’ll have a big problem. Tip: You’ll start to get a feel for how often you need to dump your water tank, but in the beginning, dump before your grey water tank gets full. Your campervan will have 2 latches somewhere on the outside of the vehicle (similar to a gas tank). Be sure you know which is which, because one is for filling with clean water, and the other is for dumping the dirty stuff. Dump Grey Water: Attach the hose to the spout, and put the other end over the designated dumping area (often a grate on the ground). Let gravity do its work. If the tank is full, it will come out more quickly than if it is nearly empty. Fill Water Tank: Attach one end of the hose to the spout on your van and the other end to the water spigot. Turn on the water and fill until it starts to leak out the side. All Holiday Parks should have fill and dump stations, as well as some private campgrounds and some DOC sites. Apps like Rankers and CamperMate will show whether or not a campground has these facilities. You can also find fill and dump stations at some DOC offices, i-Sites and other Visitors Centers around the country. We even filled our water tank at a couple gas stations. In that campervan in the U.S., we had no toilet. We went to the bathroom at campgrounds, cafes, rest stops, parks, gas stations, and when the situation proved dire – the woods. But really it wasn’t too much of an issue. And it was even less of an issue in New Zealand because there are public toilets everywhere! Plus, when choosing campsites, you can always ensure that it has a toilet by checking the details on Rankers or CamperMate. Tip: CamperMate even has a feature where you can search the map for the nearest public toilet. Another thing you may be wondering: How do I shower in a campervan? Well, unless you rent one of those big motorhomes, you probably won’t be showering inside your campervan. But unless you want to pay top dollar for nightly Holiday Parks, you probably won’t be showering every day. This is a campervan trip, folks, not a luxury resort in the Maldives. We typically planned out which days we needed showers (a.k.a. after long hikes or on days when the temps were sweltering). And as a general rule of thumb, we tried to stay at a campground with a shower every third day or so. And in between those showers, dry shampoo and baby wipes go a long way, baby. Trust me. If you find yourself in dire need of a rinse but prefer free sites to those that are paid, you can find showers at some but not all i-Sites (visitors centers). Solid shampoo bar: Lasts longer than regular shampoo, packs up small and doens’t count toward your liquids. Dr. Bronners: If you really want to simplify your packing, this can serve the purpose of shampoo, body wash, dish soap and laundry detergent. There are solid bars and liquid soap. leave-in conditioner spray: Keep your hair feeling soft and smelling nice (even if you haven’t showered). hanging toiletry case: Organizes your toiletries and can be hung on the shower door. flip flops: Don’t go barefoot in public showers! Yuck! Dry shampoo & baby wipes: Use these to freshen up when you don’t have access to a shower! Just like showers, all Holiday Parks (and some private campgrounds) should have laundry facilities. Some have just one washer and dryer and people are lined up to use them. Other campgrounds have a whole room full of machines and big tubs for hand washing. During our 5.5-week trip, we did laundry twice (about once every 2 weeks). Laundry typically costs $3-4 NZD per load for the washer and same for the dryer. We packed these portable laundry detergent tabs. You can also purchase a box of detergent at the start of your trip, or many campgrounds sell a single use detergent packet for $1 NZD. Internet in New Zealand is awful. Surprised? Yeah, we were too. But at least you know before your trip (unlike us!). Here’s the deal: Free Internet is difficult to find. And when you do find it, you will almost always be limited to a certain amount of data (for instance 250 megabytes). This is what you’ll find at most campgrounds, hotels, cafes and libraries that advertise “free Internet”. Even when Wi-Fi is advertised, it doesn’t always work. I’d say that about half the time, we weren’t even able to connect. And when you are able to connect, expect the speeds to be slooooow. Even if you have purchased Internet time at a cafe or campground, you will likely be dealing with the same slow speeds and a limited amount of data. Between the two islands, Internet is faster and easier to find in the North Island. But it’s still not great. You’ll be able to post to Instagram, check your email and get directions on Google Maps. But don’t plan to do too much more than that. We learned the hard way when we had a deadline to upload a video to YouTube for a client. We tried again and again on all different connections, and in the end wasted roughly 10 hours hunting (unsuccessfully) for Internet. If you know about New Zealand’s Internet situation in advance, it’s not too big of a deal. There is so much to do besides surfing the web, and it can be refreshing to disconnect. But for those of you (like us) who need the Internet for work, just be prepared. You might also want to consider bringing a portable hotspot for the times when you can barely connect to your campground Wi-Fi (it WILL happen). Our Skyroam Solis hotspot saved the day on more than one occasion. It works about as well as the cell service in your current area. So if you’re in the middle of the mountains and have no service on your cell phone, the hotspot won’t be able to find a signal either. But if you’re in a city with decent cell signal, you can create a hotspot for up to 5 devices without using your cell data. Again, you are limited to a certain amount of data (depending on which service you choose), and when you reach that amount, your speeds will drop significantly. So again, we weren’t able to upload our video to YouTube no matter how hard we tried. As you might expect, cell phone service is hit or miss in New Zealand. You will likely have 4G service in and around the major cities, but there are many dead spots in between. While traveling through the National Parks and mountainous parts of the South Island, it’s unlikely you’ll have even a spot of cell signal. Tip: Since you’ll be in and out of service, be sure to download the offline version of Google Maps as well as Rankers or CamperMate. That way you can still get directions and see your current GPS location, even if you’re in the middle of No Man’s Land. We’d definitely recommend having cell service, as it is super helpful for getting GPS directions and making calls if you have any issues on the road. So unless you have a phone plan with international coverage, you will need to get a SIM card as soon as you arrive in New Zealand. 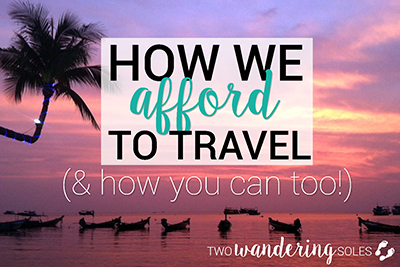 It’s super easy and pretty affordable to get a plan, no matter how long of a trip you have planned. There are 3 service providers: Spark, Vodaphone and 2Degrees, each of which has spin-off networks. And you’ll be able to find at least one of these booths in the airport when you land in New Zealand. We got a plan with Spark for no reason other than we saw their booth first in the arrivals section of the airport. But we were happy with our service with them, however, we’d imagine the service through the other networks would be similar. With Spark, SIM plans start at $29 NZD for the month (1GB). We paid $54 NZD for 8 GB (there is a $45 package for 4GB, but we figured the extra $9 would be worth it). Spark also has hotspots around the country, which are weirdly enough set up inside bright pink phone booths. All Spark users get 1GB of data from these hotspots per day (in addition to their plan). We didn’t actually use this feature because we often needed data when we weren’t near a phone booth. Go figure. But it was nice knowing we had the option. Eating at restaurants in New Zealand can be quite expensive, and healthy options can be hard to come by. There is something really satisfying about making your own meals in your home on wheels. If you’re used to cooking over a backpacking stove or a fire, you’ll have no problem adjusting to the spacious 2-burner gas stoves most vans come with. However, if you’ve never cooked a camp meal, there might be a bit of a learning curve. Cook inside: First off, holiday parks and some private campgrounds have kitchens. So if you aren’t quite up to cooking inside your campervan, you don’t have to. Go vegetarian: Keeping meat cool in a campervan can be tricky. Then, think about keeping your surfaces sanitary in your tiny kitchen. Meat is just not necessary (at least for every meal). Plus, meat is quite expensive in New Zealand, so cooking veggie meals instead will help you stay on top of your budget. Master 1-pot meals: We’ve got some great campervan meal ideas just for you! Less work and less dishes! Packing for a campervan trip is quite a bit different than what you’d bring on any other type of trip. We’re sharing some advice as well as some of our favorite items to help you avoid the mistakes we’ve made. Less is More: Overpacking is always something we try to avoid. But it is especially important to pack light for a campervan trip, as you will be living in a tiny space. Every square inch counts, and you will be living in clutter if you don’t pack light. When traveling in a campervan, you’re going to be wearing the same outfits over and over again. Trust us. Bring Layers: Weather in New Zealand is highly changeable, and you may encounter snow, rain and humid sunshine all in the same day. Pack layers and a rain jacket to be prepared for it all! Packing Cubes: Having a place for everything in a campervan will make your life exponentially easier. We use packing cubes no matter what type of trip we’re on (umm, they compress AND organize!). But they are especially helpful in organizing clothes and toiletries in a campervan. Baby wipes & dry shampoo: As we already mentioned in our “showering section”, these items work wonders between showers. Your travel partner will thank you! Don’t worry if you forget something: Most toiletries and clothing items are easy to pick up in New Zealand. For the cheapest prices and biggest selection, we’d recommend going to The Warehouse. We created an entire campervan packing list that is packed full of tips and lists out everything we packed for New Zealand (plus those things we wished we would have brought!). You can download this 7-page PDF totally free. No catch. Just give us the best email to send it to. Driving on the left side of the road: This one was a bit tricky for the first few days. There are big arrows painted on the road to help you, but remember to take wide right turns and short left turns. The weirdest part is having the driver sit on the right side of the campervan. One-Lane bridges: These are very common throughout New Zealand. Make sure to yield when you approach and follow the signs on who should go across first. Roundabouts: Just like driving on the left side, these can take a little getting used to. Slow down as you drive up to them and yield to the cars coming from the right. Speed Limits: Suprisingly, there are really only 2 speed limits in the entire country: 100 km/hr on the highways and 50 km/hr in the cities and towns. You might see other signs posted every once in a while, but these are the most common. Kiwi Road Rage: For the most part, people from New Zealand are lovely. However, there were a few times where we had people dangerously tailgating us on the highway, making hand guestures and honking horns. I guess I would get annoyed with all the tourists driving around me too. Podcasts and Audio Books are lifesavers when you just can’t take another minute of your travel companion’s voice… only kidding… or am I? In all seriousness, radio signal cuts in and out throughout New Zealand, especially in the South Island, so you’ll definitely want to fill your phone with playlists, books and podcasts. We’re even going to share a few of our favorites that keep us entertained on the road (or in planes). Science Vs.: One of our all-time favorite podcasts, “Science Vs.” discusses “hot topic” issues like gun control, immigration and essential oils and discusses the facts and science by interviewing experts on both sides. It’s super entertaining and easy to listen to! Dirtbag Diaries: This is a podcast where people share their adventure stories — from epic hikes gone wrong, to how the outdoors saved a young man from getting involved with gangs. We discovered this one in New Zealand, and loved hearing about other people’s adventures while being on an adventure of our own! Criminal: Each episode discusses a real crime — some are creepy (like murders!) while others are funny (they interviewed the “original pot brownie lady” and a man who has streaked at hundreds of sporting events). This one is super entertaining! How I Built This: If you want to be inspired, the host of this podcast interviews some of the world’s most successful entrepreneurs — like the CEO of Patagonia and the founder of Cliff Bars — and shares the story of how they built their business. “A Walk in the Woods”: One of our favorite adventure books, this story documents one man’s hike through the Appalachian Trail. Bill Bryson is a captivating and hilarious author! “Glass Castle”: This memoir documents one woman’s absolutely crazy and interesting childhood as her family moved many times across the US. It will have you crying and laughing out loud. 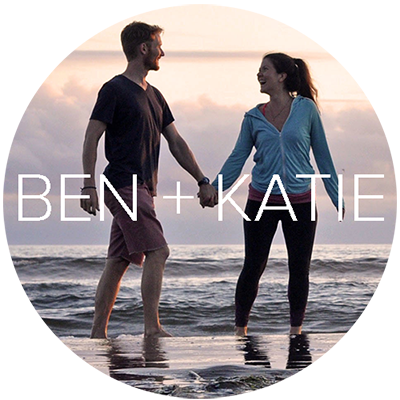 “A Heart in a Body in the World”: We listened to this Audible on our New Zealand road trip and loved it. The narrator does a fantastic job telling this story of a young girl who decides to run across the United States after she experiences a tragedy. Any other book you’ve been wanting to read: This is the time to have it read TO you! Not ready to commit? Try the Audible Trial Offer. As soon as you arrive in New Zealand, there are some things you’ll need to stock up on: food, for one. But the last thing you want to do is to drive in circles looking for a grocery store, or to over pay at a department store for something you could have found a ton cheaper elsewhere. We’re going to save you time and share the 2 stores you need to know for your campervan trip to New Zealand. Pak’nSave: Discount grocery store with the lowest prices on food in New Zealand. The Warehouse: Similar to Walmart, this discount store has just about everything you need under one roof. Camp chairs: Check. Baby Wipes: Check. Dry Shampoo: Check. Propane: Check. The total cost of your campervan trip will depend a lot on YOU. Do you mind roughing it, or do you prefer comfort? But the biggest factor will come down to the type of campervan you rent, as they can range from pretty cheap to damn right expensive. On the low end, you can expect to spend around $75 USD per day for 2 people. This means you will need to rent the cheapest van, stay mostly in free campgrounds, limit your driving to save gas, cook most of your meals and rely on free activities for entertainment. On the higher end, you could be spending upwards of $350 USD per day for 2 people. You’ll need a budget like this if you rent a more expensive vehicle, stay exclusively at Holiday Parks and regularly splurge on tours and restaurants. Most people (ourselves included!) will fall somewhere in between. We have a entire article showing you our top picks for campervan companies and how much they cost in peak and low seasons. Our daily average was around $185 USD for two people. We went with a budget-friendly campervan, but not the very cheapest one. We cooked most of our meals, but ate out every so often. We splurged on tours like bungee jumping and swimming with dolphins, and we stayed at a mix of free sites as well as Holiday Parks. We chose Mad Campers because we liked the company and they were a good budget option. They are actually giving all our readers a 5% discount on their campervans when they use the Promo code: TWOWANDERINGSOLES. Check them out and book now here. Find out where you fall and multiply it by how many days you plan to be in New Zealand. We broke down all our travel expense and helpful money-saving tips in our New Zealand Travel Budget Article. You’ll also need to take into consideration flight prices as well as travel insurance. Try to camp in free campgrounds as often as possible. Holiday Parks are great every once in a while for hot showers, but limit it to every few days if you’re on a budget. Apply for a relocation rental. Many campervan companies need their vehicles moved from the South Island to the North (or vice versa). If you’re on a super tight budget, consider applying for a “relocation rental”, which means you will be allotted a certain number of days to get the vehicle where it needs to go. You will be able to use the vehicle free of charge on those days and will likely be given a free ferry ticket. Cook as much as possible. Eating out in New Zealand ain’t cheap, unless you’re at a fast food joint. And who really wants to do that on vacation?! We’ve got some healthy and easy campervan meal ideas for you! Know how much things cost. Having an idea of average prices in New Zealand will help you create a realistic budget and stick to it. We’ve broken down the typical prices for common things like gas, groceries and activities. What additional questions do you have about planning a campervan trip to New Zealand? What are you most nervous about? What excites you most? 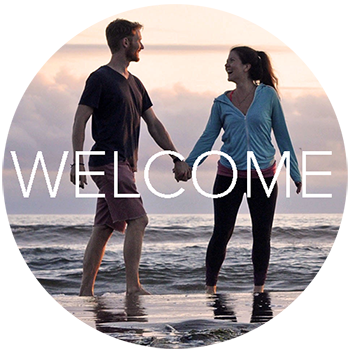 We truly want to help you plan the best trip possible, and we’re here to equip you with knowledge and make you feel confident about traveling New Zealand in a campervan. So ask away. We’re here to help! Going to New Zealand Soon? Save these on Pinterest!